Everyone likes big numbers, right? I know I do. 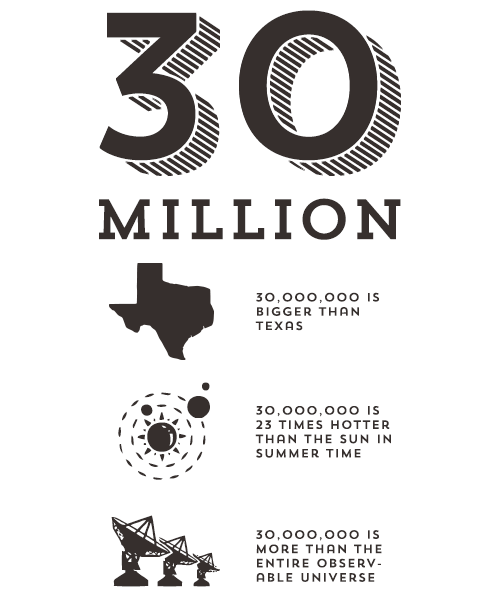 Here’s a stonker: 30,000,000! You good people have bought Minecraft: Pocket Edition over 30 million times. Thanks! To celebrate the sales milestone, we’re planning a question and answer session with the devs. It will be broadcast LIVE on the internet. And you get to supply the questions. EDIT: you can watch it below! Yes, the footage looks like it was streamed from a worn-out VHS and edited by a chump. Why? Because it was! We’re cool like that. Hit this reddit thread and submit your query. We’ll pick the top-voted/least offensive ones and put them to the devs LIVE on air later this week. It’s going to be great. Get involved!